5 Cool Gadgets Out In Time For Christmas! With the holiday season inching closer, you may be wondering what technological advances will be most popular for Christmas. From tablets and video games to computers and cameras, consumers will have a wide selection of merchandise to choose from. Nintendo has jumped on the tablet bandwagon with its version of Wii U game device. The GamePad has a touch screen, motion control, stylus, microphone and traditional video game controls. The game can be easily viewed on the GamePad or T.V. screen. Super Mario Brothers is the most popular game for the new U. Technology has brought serious gaming to the entertainment table with the Edge Razer. 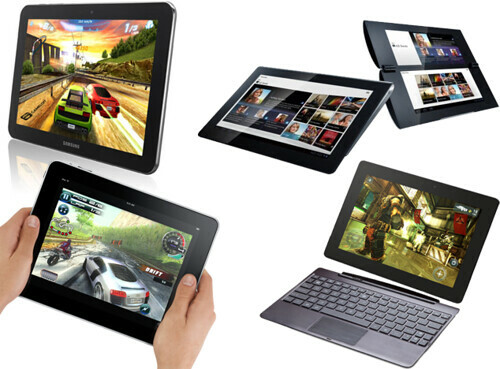 The tablet defines your gaming experience for those lounging on the sofa, sitting at your desk or on the go individuals. This all-in-one computer system also has detachable accessories and docking station. Online shopping, at sites like http://www.christmasgifts.com/, has gained in popularity over the years and consumers can typically find a wide selection of merchandise at a lower price than traversing the retail stores for the same item. One of those gadgets is the smart camera. This magical device allows you to upload and share photos online with the help of the built-in LTE (3G) or WiFi connection. You can also share it with others on social media sites such as Facebook in a matter of seconds. The Basis band is a heart rate monitor that works without the typical chest strap. This unique piece of gadgetry allows you to measure your activity level, no matter what you may be doing, accurately. It also has other sensors that measure sweat levels and an accelerometer that views the various performed exercises and how they affect your heart rate level. This is the ideal device for those looking to get an accurate health assessment. Are you tired of your keyboard being a breeding ground for bacteria and food particles? The latest electronic gadget to hit the scene is the Cool Leaf touchscreen stylish keyboard. Your keyboard experience will be unique with its touchscreen capabilities. It’s also easy to keep clean and most consumers enjoy the tapping feature that is similar to most smart phones. The Lenova ThinkPad Helix is a Windows 8 transforming tablet and laptop hybrid with an i7 processor. This serious ultra-book is a powerful gadget that has 256GB and astounds users with its accessibility and transformation. The Samsung Galaxy Note 3 is a highly anticipated gadget that won’t disappoint. The device will sport an even bigger screen than its 5.5-inch predecessor, making navigating the Internet, watching movies, downloading apps a breeze. When you’re looking for the hottest gifts in electronics, the above sampling of holiday gift ideas is sure to light up anyone’s Christmas tree. To make your shopping experience all the more enjoyable, you’ll find that online shopping is becoming increasingly popular because of its convenience and easy accessibility. It’s also more affordable than traversing your local malls with the many deals offered to the consumer. Nadine Swayne presents this information to those shopping for their beloved “techie.” The holiday season is right around the corner and the best plan of action is to make a list, shop online and stick to your budget. Remember, it’s a time to rejoice!